Muscle Meals 2 Go offers healthy meals designed to help you lose weight, add muscle and achieve your goals. Meal delivery should not be one size fits all! What sets Muscle Meals 2 Go apart is our 3 size options: Lite, Standard and Extra Protein. LITE MEALS: These meals are designed to help you lose fat and maintain muscle with 3 oz protein, 3 oz carbs and 2 oz veggies. Perfect for anyone wanting to lose that unwanted weight. STANDARD MEALS: With 6 oz of protein, 6 oz of carbs and 2 oz veggies you won’t have room for dessert. Our Standard Meals are designed to help you pack on muscle and lose fat at the same time. EXTRA PROTEIN: Still hungry? Upgrade to our 9 oz protein option. Designed for maximum muscle gain! Our meal prep service provides you with nutritionally balanced, calorie controlled, high protein meals. 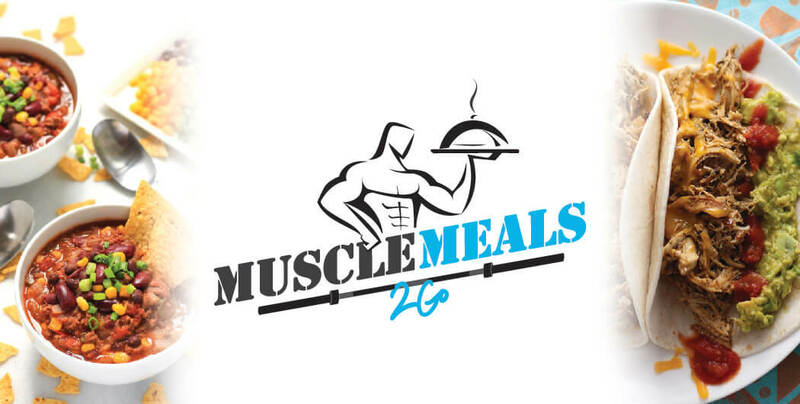 Muscle Meals are cooked for you by our experienced chefs and delivered Nationwide directly to your home or office. Enjoy peace of mind with no contract or Auto Subscription to cancel. Just order your Muscle Meals when you need. Order deadline is every Monday at Midnight, meals will be prepared fresh and delivered the following week. Balanced meals with right combination of lean protein, complex carbs and veggies make it easy to hit your macronutrient goals. All meats are 90% lean or greater, so you get more protein per calorie. Your meals are prepared fresh each week with natural ingredients: Non-GMO, No Antibiotics, No Hormones, No High Fructose Corn Syrup, or Preservatives. Muscle Meals can easily be customized to your needs. GLUTEN FREE, LOW CARBOHYDRATE, NO DAIRY, just check one of the boxes when ordering! Reach your goals with ease! We do the meal planning, shopping, and cooking, so you can focus on everything else. WE COOK AND DELIVER - YOU ENJOY! Diet plays a huge role when it comes to staying fit and healthy. Today’s busy lifestyle makes it difficult to find time to prepare healthy meals everyday. Let us help you stay on track with your goals! We do the meal planning, shopping, and cooking, so you can focus on everything else. Your Muscle Meals are prepared FRESH each week and flash frozen to lock in the flavor. These meals are designed to aide your long term health and fitness goals by helping you lose fat and gain muscle. Meals can be customized for your needs, for example Low Carb or Gluten Free, or you can stick to one of our standard meal plans and enjoy the excellent value these meals represent. With all your meals cooked and delivered, you can spend more time doing the things you love, all while eating delicious healthy meals and reaching your goals! To order it’s as easy as creating an account and follow the prompts. The Team here at Muscle Meals 2 Go appreciates your business!